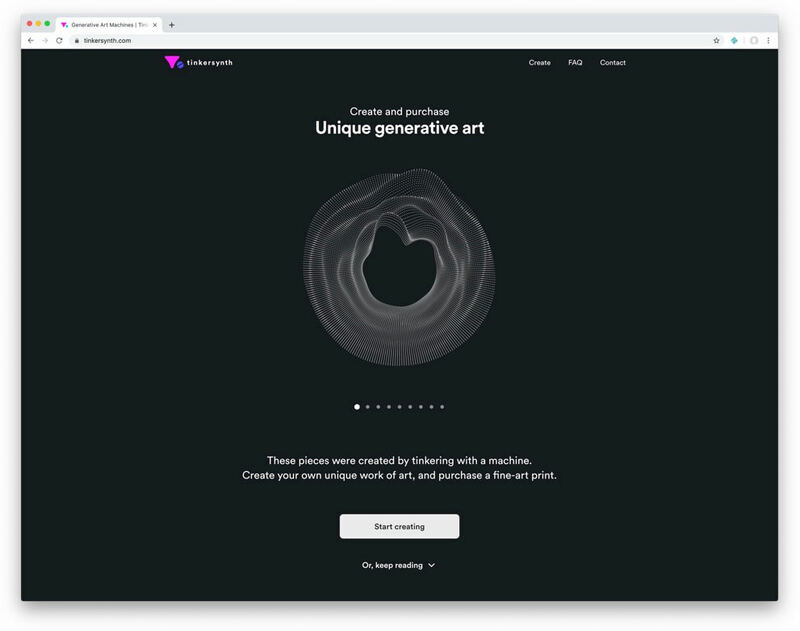 This wonderfully creative site allows you to customize the algorithms driving generative art to make something you’d want to hang on your wall. This JAMstack site is wonderful example of using the power of the web browser to build engaging, playful and effective user interfaces. 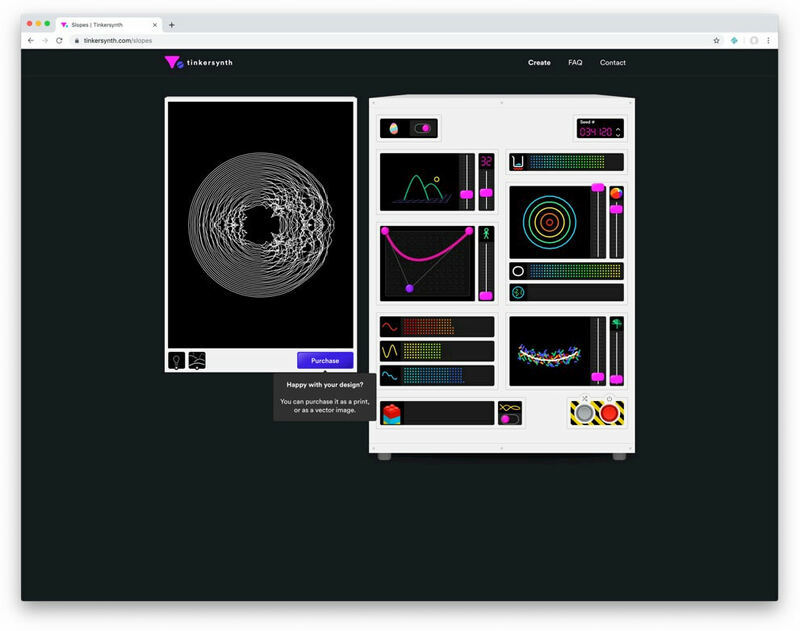 Create unique generative art through serendipitous experimentation with an over-the-top whimsical machine. Purchase your favourite creations. After experimenting to create the image you like (and it’s hard to stop!) 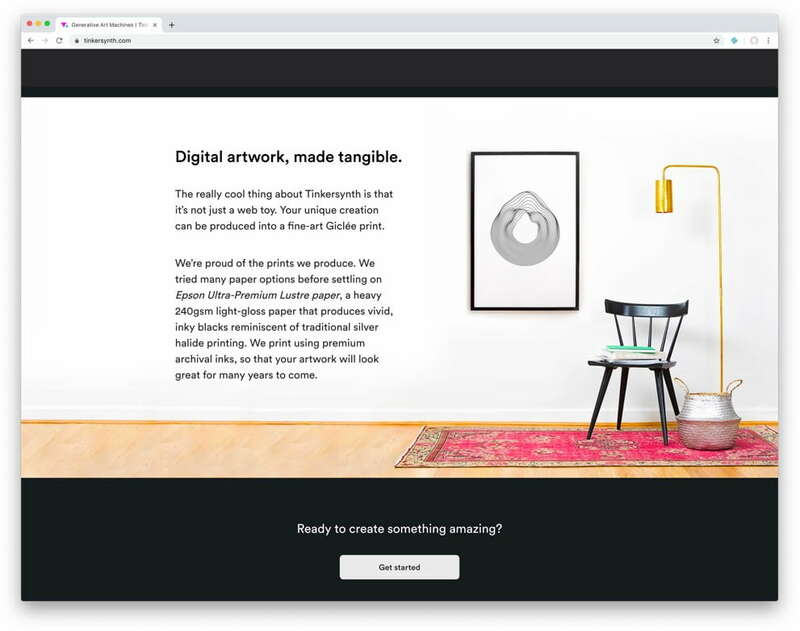 you can purchase a physical print of your creation via an integration with Stripe. Have a play. It’s a joy.